One thing that is best known about the Filipinos is their love for their family. No matter what the risk may be, tons of Filipinos still travel abroad to work, in hopes of supporting their family's needs. But recently, there has been news of countries that abuse Filipinos, and it's been troubling the President since then. Surprisingly, there is a wonderful country which opened its doors, especially to our hardworking OFWs. 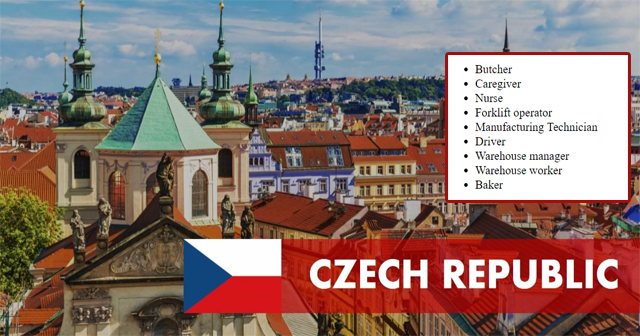 The Czech Republic is a small country in Central Europe, who recently opened offer jobs for Filipinos. According to Jaroslav Olsa Jr, Czech Republic’s Ambassador to the Philippines, in an interview with ABS-CBN, Czech is in need of skilled workers to support their industrialization programs. Although the visa ruling are recently being organized, and there is no official bilateral labor agreement between the Philippines they still announce it early so that Filipino can prepare their requirements for any possible jobs or position. They recognize the dedication of Filipino in their chosen field and even said that Filipinos are hardworking and nice people. However, the police remind the Filipinos in applying for jobs in abroad because of the stories of Filipinos who are being abused in other countries. Jed Dayang said at the Philippine Embassy in Prague that the employer should include the accommodation and insurance of the Filipino and they should undergo the process appropriately and ethically. Aside from Filipino, Czech Republic also employ workers from Mongolia and Ukraine. Working abroad or overseas has its happiness, excitement, pleasure in earning lots of money. However, there are also challenges, anxiety, and fear that we might end up like those Filipino who been abused by our employer. Nevertheless, it is up to us to decide if being an OFW can suit us.